Prins, Herschel 2014. Mental Disorder, Criminality and the Literary Imagination. The Howard Journal of Criminal Justice, Vol. 53, Issue. 3, p. 290. Cook, Christopher C. H. 2012. Psychiatry in scripture: sacred texts and psychopathology. The Psychiatrist, Vol. 36, Issue. 06, p. 225. 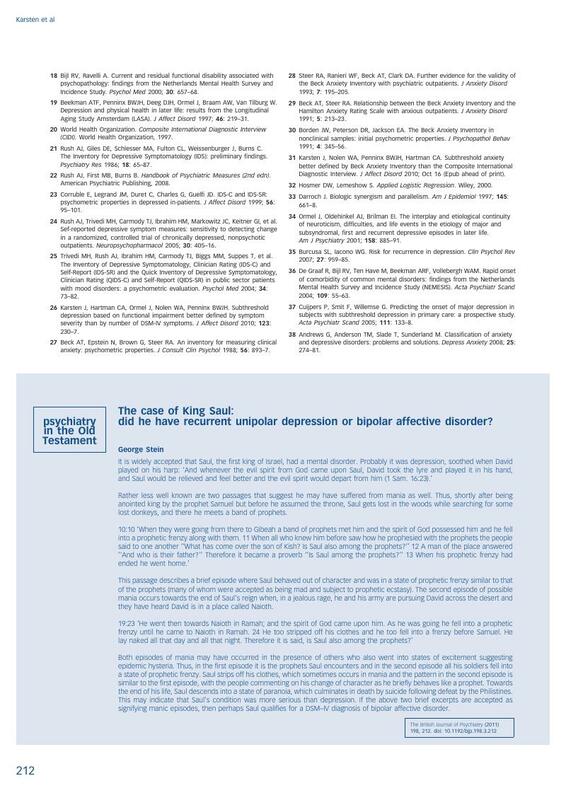 The case of King Saul: did he have recurrent unipolar depression or bipolar affective disorder?